A lot of people know about Google Analytics, but not everyone has heard of Google Tag Manager. These two tools often get confused, because you can integrate them in a variety of useful ways. However, they each need to be set up separately, even if you intend to use them together. In this article, we’ll talk more about what Google Tag Manager is and how it works. Then we’ll teach you how to set up Google Tag Manager in WordPress and use it to configure Google Analytics. Let’s get to work! These days, lots of websites use third-party services such as Google Analytics to collect data. This is because the information collected enables sites to target their services more accurately, and to identify areas that can be improved. However, you’ll usually have to add some code to your site so that information can be passed along to relevant data collection programs. 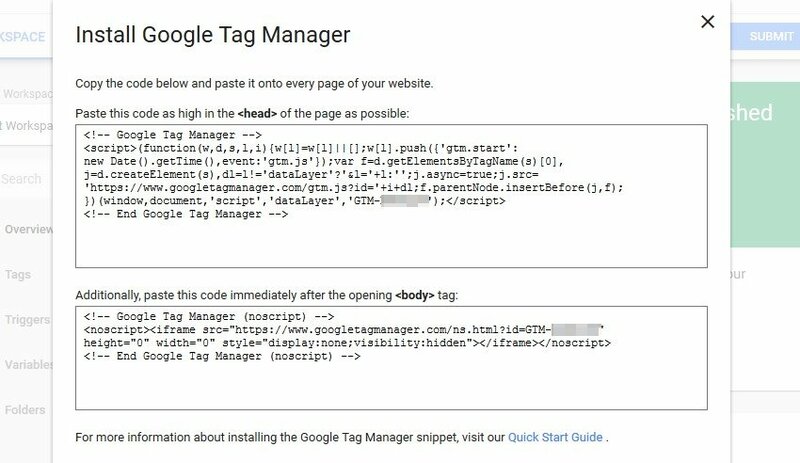 What Google Tag Manager does is provide you with a way to integrate code into your site and manage it using a single tool. Google Tag Manager in WordPress works very well with Google Analytics, and with other in-house products such as Adwords. Plus, it integrates with several external services, including Twitter, Bing Ads, and more. The best part is that, through these integrations, Google Tag Manager helps you fine tune what data you wish to acquire from your site. For example, you can use this solution to add Google Analytics to your website, and set up new metrics and events for it to track. You can do this without an additional tool, but that usually requires you to add custom code. By using Google Tag Manager in WordPress, the process is greatly simplified. Integrate multiple services with your website using a single tool. Add any code that the services supported by Google Tag Manager require to work. Configure the metrics you want your third-party services to track, using a ‘tag’ system. Test your tags using built-in debugging tools. As is usually the case with Google products, there are both free and paid versions available for Google Tag Manager. In our experience, the free version of the service is more than powerful enough for most cases. If you’re interested in getting some advanced features, however, you might consider investing in Google Tag Manager 360 (its prices vary depending on how you intend to use the platform). Setting up Google Tag Manager in WordPress can be done in two simple steps. However, we’ve also included two extra steps in this tutorial, to demonstrate how Google Tag Manager can actually be used alongside Google Analytics. The terms of service agreement will display next. After you accept it, your new container will be up and running. Instead of adding all that code to each page, it’s best to edit your active theme’s header.php file. That way, WordPress will automatically add both snippets to all pages while you’re using that theme. To do this, you’ll need to use File Transfer Protocol (FTP), which enables you to access your website and send files back and forth (as well as edit them). To use FTP, you’ll need a client that supports the protocol. FileZilla is an excellent solution that’s beginner-friendly and easy to use. Once you install and run FileZilla, the program will ask you to enter your FTP credentials, which are not the same as the ones you use to access WordPress. Most web hosts will assign you unique FTP credentials, and you can usually find them through your hosting control panel. Keep in mind that the above code shouldn’t be used verbatim, because it doesn’t include your account’s unique identifier. We’ve included it to give you a general idea of how the code should appear. Also, make sure that when you copy and paste your own snippet, it doesn’t interfere with any of the existing code within the head tags. The easiest way to do this is to add the code right after the first tag, or right before the final one. In this case, we recommend adding the code right after the first line with a body tag. When you’re done, save your changes to the file and close it. FileZilla will ask you if you want to replace the version of the file on your server with the one you just edited. Make sure to say yes, or Google Tag Manager won’t be active on your site. That’s it! You just successfully set up Google Tag Manager in WordPress. Now, let’s look at an example of how you might put Google Tag Manager into action. As we mentioned earlier, you can integrate Google Tag Manager with Google Analytics. This lets you gather data pertaining to specific aspects of your WordPress site. In this example, we’ll show how you can track the page views on your website. With that, you’ve successfully added Google Analytics tracking for a specific event to your website. Now, let’s see if it’s working. In the previous step, you configured Google Analytics to track page views on your website. Keep in mind that if you want to add additional tags to your website, you’ll need to do so on a case-by-case basis, following the same instructions. Keep in mind that the screenshot above contains data collected from a well-established website, so don’t be discouraged if your numbers aren’t that high. From this point on, you can keep an eye on your page views, and use this information to make improvements to your site. Using Google Tag Manager can be intimidating at first. Like most other Google tools, there’s so much you can do with it that getting started can be difficult. However, using Google Tag Manager in WordPress isn’t particularly complicated. Plus, it enables you to do a lot of useful things, such as adding Google Analytics tracking to your website. 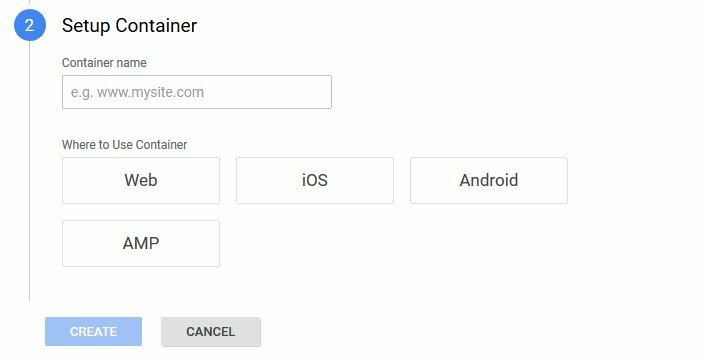 Set up a new Google Tag Manager account. Install Google Tag Manager via your header.php file. Set up Google Analytics using Google Tag Manager. Check out your website’s analytics. Do you have any questions about how to use Google Tag Manager in WordPress? Ask away in the comments section below! Thanks for sharing this amazing tips with us. I had also used google tag manager i also realised these benefits like 1. Less Dependence On Developers To Fire Tracking Scripts 2. Set Up On-Click Events Easily 3. Keep Third-Party Marketing Pixels Under One Roof 4. Creative and Flexible Tracking 5. Preview And Debug Your Tags Before Publishing. Hope these benefits will push the user to use google tag manager. Hello Will, I’m Kartik, Thank you for share lovely post, I’m a blogger, I write about Share Market in Hindi Language, I have a question. Do i need to add Google tag manager in my blog.